The close season resembles an episode of Casualty as manager Bilic joins his players in the operating theatre. One joke that never fails to make me smile is the one about the two coolest dudes in the hospital being the Hip Replacement Guy and the Ultra-Sound Man. Now that his team’s limp season has come to an end, our very own cool manager will be joining a host of players by going under the knife with Slaven opting for a hip replacement that is likely to keep him out of action for up to 6 weeks. We wish him a speedy and full recovery and hope that he will emerge far more flexible in every sense of the word at the end of his recuperation. With no news to the contrary, the assumption has to be that Bilic will be staying in the West Ham hot seat, at least for the time being, to begin the final year of his current contract. It creates both an added incentive and pressure to get next season off to a flying start if he is to avoid dead-man walking status by the time the festive period comes around. With Slaven temporarily out of action there must be potential implications for the allocation of war-chest funds during the upcoming transfer window. If we are to believe what we read, transfer decisions are collectively agreed by Bilic, transfer supremo Tony Henry and David Sullivan, in his role as de facto Director of Football and as the man signing the cheques from the Bank of Dave. With two shocking transfer windows behind them what could possibly go wrong? The chatter (or is it the chtwitter) coming out of the club is that sights are set on three of four new signings to launch that leap to the much vaunted next level. The one name cropping up with great regularity in that sense is 32 year old Pablo Zabaleta: better than what we have?, yes; a signing for the future and a statement of ambition?, no! It is my over-riding fear that transfer focus will be on experienced but past-their-best individuals that offer little but to keep the club treading water. A transfer rumour that cropped up today was a swap with Inter Milan that would see 30 year old Eder heading for London and 23 year old Arthur Masuaku going in the opposite direction. I sincerely hope that this one is from the made-up nonsense basket as neither part of that exchange holds any attraction. Masuaku looks just the sort of prospect that we need to keep despite the suspicion that he has contracted Rush Green syndrome (formerly known as Chadwell Heath syndrome) whereby a player has an irrational fear of leaving the treatment room. A win in the North-West to finish the season. So we have ended a so-so season with a victory. And for a change, instead of relinquishing a lead and giving up the points we did it the other way round. When we fell behind midway through the first half I feared the worst, but a spirited comeback against a side with an enviable home record, and other results going our way, meant that we finished the season in eleventh place, just one point behind eighth, albeit with an inferior goal difference. Many have commented that with just one more victory we would have been clear in eighth, and it is easy to look back and see where that additional win might have come from, as we lost 22 points from a winning position. The difficulties in settling in to a new home have been written about extensively, and whilst there is perhaps some merit in the change of stadium being the reason for our indifferent home form, I do not subscribe to it being such a key factor. Quite frankly we played poorly in so many home games, and we cannot blame the stadium for that. We just didn’t turn up at times, and failed to put in the level of commitment that we showed in our better performances. If the stadium was such a key factor, then where did we play the home game against Chelsea in the EFL Cup? And where did we play against Tottenham in the penultimate home game of the season? 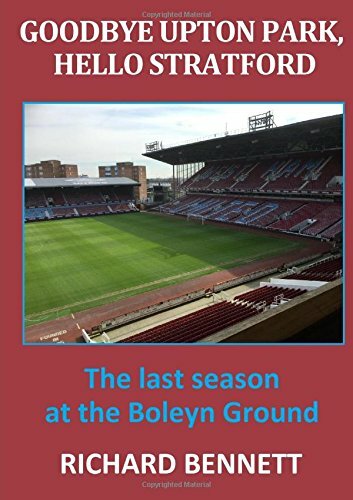 The inability to score goals at the London Stadium is something that we will need to rectify next season, as in this one we only managed to score two goals or more on four occasions. On the other hand we scored at least two goals in nine of our away games. Compare this to the previous (successful) season when we scored at least twice in 23 of our games (12 at home, and 11 away). The season was a balanced one in that we picked up 22 points in the first 19 games, and 23 in the last 19. Some of our 1-0 wins were fortunate, but all sides have those. The aforementioned 22 dropped points would, had we won the games where we were in front, have seen us finish in sixth place in the table. But it was not to be. Injuries to key players was perhaps another factor in some of our poor results, but again many sides have those. Quite what is the reason for so many injuries is a debatable point, but we either have to improve our training facilities (the reason given by some), or consider our training methods and performance of the people behind the scenes who are responsible for ensuring the fitness of players. Or is it just bad luck? I’m not so sure. Transfer target speculation is already well under way, and I hope we can secure some quality signings this time. But most of all I’d like to see us adopt a method of playing where we have a definite plan (and back up plans) where we find a successful formula and stick to it. To me, we appear to pick what the manager considers are his best eleven players available for each game, and because of injuries we bring in alternatives who don’t necessarily fit the same style of play. It is no coincidence that the two best teams in the country, Chelsea and Tottenham, have a style of playing where, in the event of injuries, they bring in players who fit into their pattern. They don’t just pick their best eleven players available and change the style to fit them. We also need to consider what is one of the most important facets of the game at the top level, and that is pace. Teams can afford to have the odd player here or there who may be lacking in this if they bring other additional qualities to the team. But to me we seem to be lacking in this aspect in too many areas of the pitch. Some of our build up play is predictable and laborious with not enough movement off the ball. Sometimes when I watch our pre-match routine where the players play five against five retaining possession of the ball in a confined area I marvel at their ability to find space with quick movement, but we often cannot seem to replicate this in the game itself. And one other thing I’d like to see. How many times have we had a free kick (or even a throw in) in the opponents half of the pitch, and several (mainly sideways and backwards) passes later it ends up with our goalkeeper, who then kicks the ball long and possession is lost? So many times we take a quick free kick (and there is nothing wrong with that in itself), but we don’t appear to give it much thought. Sometimes we need to consider what we are going to do. A quickly taken free kick can be a good attacking option, but only when the players are ready for it. It has the most effect when played in a forward direction. Having said all that, despite some indifferent displays we finished eleventh, and could have even been higher. But I think that our mid table position was just about right. Some people writing on social media suggest that it was the worst season ever. No it wasn’t. Remember Glenn Roeder and Avram Grant? Our average finishing position in the Premier League era is around 12th / 13th. So it was just about right. Typical West Ham you might say. Looking ahead I cannot foresee any changes to the top seven places in the table, and reckon that at our best we would be challenging with so many others in the mid-table cluster for eighth place. I hope I am wrong. I hope that we see some quality recruits, a definite style of play, and better luck with injuries. Only time will tell, but the new season is less than three months away, and a lot of work needs to be done behind the scenes to give us a chance of improvement. I hope it happens.